Unlimited Possibilities To Craft This Into Your Dream Home, Perfect For First Time Home Buyer Or Investors Looking To Increase The Value. MLS#8524025. Jar House Llc. Brentwood - Lovely Renovated Family Home - 4 Bedroom - 2.5 Bathroom - New Kitchen Floors - Office Space - Mirrored Walls - Large Master Bedroom - Beautiful Master Bathroom With Separate Bath And Shower - Exercise Room On Lower Level - Attached Garage With Lots Of Storage - Backyard Features Patio And Large Deck - Just A Walk To Neighborhood Pool, Tennis Courts, Volleyball, And Playground - Near Tons Of Shopping And Restaurants - 5 Mins From I-20 2 Hr Notice Required Please Send Showing Request Through Showing Time MLS#8522716. Keller Williams Rlty Atl. Part. Hidden Acres - Home Is Total Electric And Very Energy Efficient. Call Agent For Details MLS#8520239. Noverim, Inc.
Westchester Lakes - Commissions Are Paid Off The Sp Minus The Buyers Premium. MLS#8520133. Dickson Realty Group, Inc..
Fieldstone - Full, Unfinished Basement To Be Used To Fit Your Needs, It’S Already Stubbed If You’Re Needing More Finished Space Or A Bathroom For The Future Workshop MLS#8520006. Carter'S Galaxy Of Homes. Great Room With Fireplace, Separate Dining Room, Step Saver Kitchen, Den, Three Bedrooms, Two Full Baths, Deck For Grilling, Double Car Carport With Rear Entry. Outbuilding. MLS#8519931. Lee Staples Realty, Inc..
Home Purchase Includes An Oversized Shop With A Second Level Located In The Backyard. Great Schools And Nice Neighborhood. 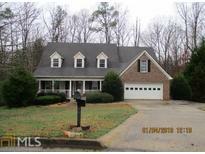 MLS#8520073. Solid Source Realty Ga.
Short Sale Pending Lenders Approval. Send Us Your Offer Today! MLS#8519946. Intouch Properties. Master Opens Up To Another Patio And Great Low Maintance, Private Back Yard. Motivated Seller! MLS#8518213. Annie Miller Realty, Inc.. Private Back Yard, Front Parking Pad. MLS#6126447. Exp Realty, Llc.. Owner Willing To Consider Any Reasonable Offer. 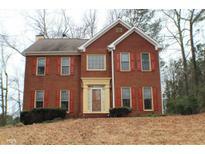 MLS#8516433. Mcginnis Realty & Appraisals. Clubhouse/Pool/Exercise Room. View From 10 Am -5Pm MLS#8516716. Re/Max Around Atlanta. Availability Limited/View From 10Am To 5Pm MLS#8516709. Re/Max Around Atlanta. 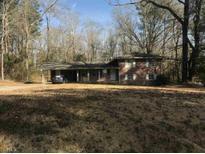 Located Minutes From I-20 In Stonecrest Area. MLS#6125949. On Point Realty, Inc.. This Home Is Occupied...Owner Ask For At Least 1 Hour Notice Before Showing. Please Contact Agent For Showing. MLS#8516057. Collaborative Touch Mgmt & Rea. Honey Creek - All Personal Items Will Be Removed. MLS#8515888. Sunshine Real Estate Services. Call To Get Daily Update Of Renovations And Price. MLS#8515791. Re/Max Pure. 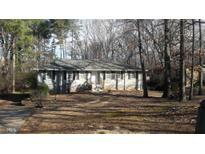 Check Out This Amazing 3 Bedroom And 2 Bath Property. MLS#8515789. Porter Smith Realty, Llc. Farmettes - The Same View Can Be Enjoyed From The Master Bedroom, Kitchen, And Dining Room, Which Are All On The Main Floor The Lower Floor Of This Home Consists Of A Living Room With Fireplace, Full Bath, Office, And Second Bedroom. MLS#8514246. Jar House Llc. Covered Front Porch And A Large Deck. Listing May Contain Stock Photos. MLS#8512640. Silverstone Realty, Llc. Home To Be Built. Some Stock Photos. MLS#8512648. Silverstone Realty, Llc. So Much To Love. Some Stock Photos.. MLS#8512650. Silverstone Realty, Llc. Travers Creek - Hoa Provides Exterior Maintenance, Yard Care, Termite Bond. Owner Occupied. MLS#6122630. Keller Williams Realty Atl Part. The Back Deck Is Ideal For Coffee In The Morning Or Great For A Summer Time Bbq With Friends And Family. MLS#8511835. Jar House Llc. Westchester Lakes - Best Of All This Wonderful Home Includes An In-Law Suite On The Terrance Level With Living Room, Bedroom, Bathroom & Kitchen. Must See! MLS#8509671. American Realty Pro Of Ga.